I thought it was time for another "proper" blog post, don't you think? So much has been going on in the hustle and bustle of my life that I have again started neglecting my blog - tsk tsk tsk. Things have been hectic busy on this side. Did I mention we are expecting our 2nd child later this year? We recently found out that we are expecting a boy, so soon there will be 2 pairs of little feet to pitter-patter around the house. Having a family is such a blessing and privilege and I am fortunate to have such a loving and supporting wife who knows how obsessive I can be about my passions. 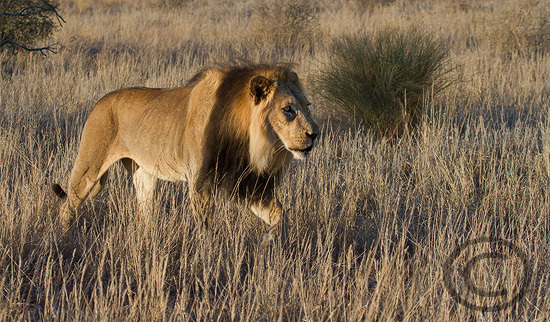 After visiting the Kgalagadi Transfrontier Park again recently (you should know by now how I love the place), I was reminded by a recent experience of one of the exciting aspects of being on safari there...tracking lions. 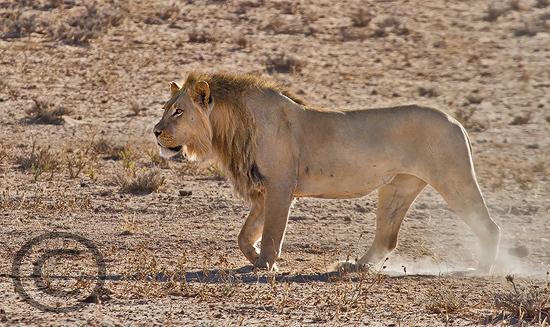 Oftentimes in the Kgalagadi I have found fresh lion tracks and used some latent knowledge of tracking handed down by my father when I went hunting with him as a boy, and some knowledge of the predators' behaviour to eventually find a good lion sighting on my own. Now it sounds cliche, but unlike the private lodges where there's a tracker sitting on the front of the vehicle, in this park it's all self-drive and you can only track animals that have actually walked in the road. So upfront it sounds quite straight-forward...but there's actually a lot to it. 1. First off - you need to be out of the gates FIRST in the morning! If you're not, the guy who made it out before you will probably just drive over any fresh tracks there may be. 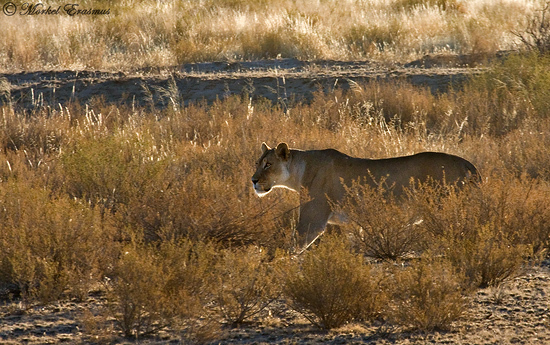 Male lions are frequently on patrol in the early hours of the morning, but it's not uncommon to find moms with cubs or even entire prides on the road or close to it. 2. You need to know what a lion track looks like. Think your kitty cat's feet multiplied by 20. It helps to familiarise yourself with the various predator tracks so you can distinguish between them. 3. You need to be able to tell if it's fresh or old. If it rained last night, and there are tracks without drops in them - FRESH. If there's lots of loose sand in the track and it's hard to discern the shape - OLD. If the sand is scrunched up on the sides and the track is nice and clear - FRESH. 4. You need to have a keen eye. They may not necessarily be in the road. 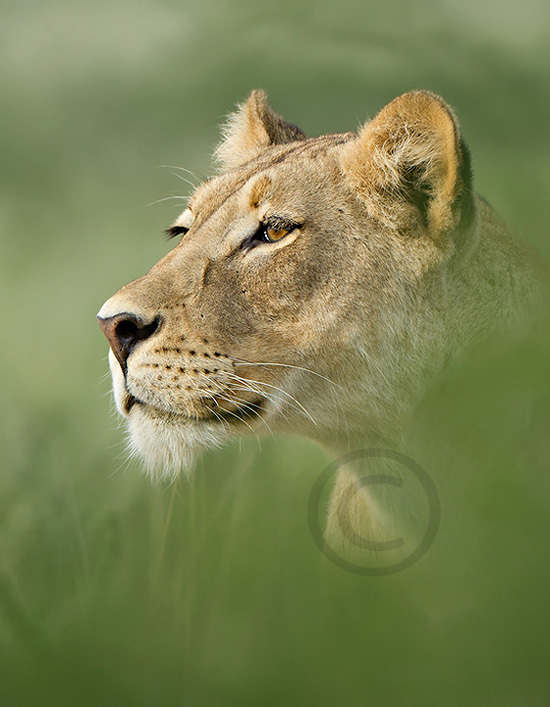 They may be lying under a bush close by or they may be a little way off to the side in long grass. 5. You need to be able to read the direction of the tracks and make a prediction on where they were going if the tracks leave the road...they may have just taken a shortcut and ended up at a nearby waterhole. 6. You need to be patient. On my recent trip I was tracking a certain pride of lions for 4 days consecutively before I found my first "usable" photo opportunity. 7. It's not just about tracking lions. I have often found leopard, cheetah and hyena tracks too, and these also gave me a good idea of which predators were hanging around certain territories with a view of looking for them later, and even finding them indirectly as their tracks found earlier made me alert to their general presence in the area. I hope you enjoyed this short post about something which makes self-drive safaris in South Africa's National Parks so rewarding and exciting for me.